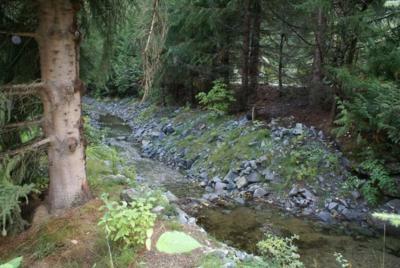 Welcome to this incredible Creekside townhouse, nestled amongst the forest pines with a crystal clear creek running at the back. 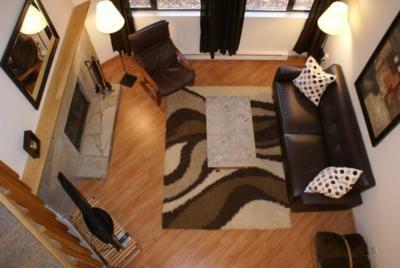 You will feel at home away from home as you enjoy this comfortable 1,200 square foot, 2 bedroom and loft unit. 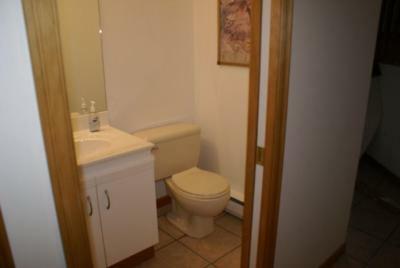 You enter the unit on the main floor into a foyer with large closets with ample room for storage as well as a closet specific for your ski gear. 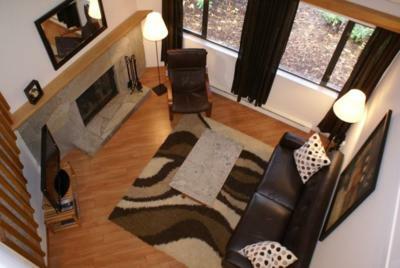 On that level you will find the sunken living room with vaulted ceilings and cozy wood burning fireplace, warmly decorated with hardwood floors, earth tones and chocolate brown leather furniture. 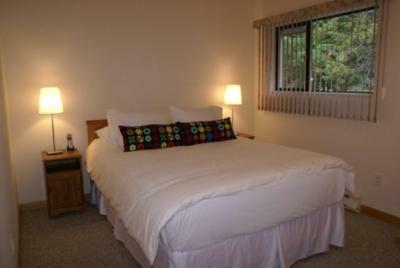 This room is fully equipped with a new flat screen HD TV, countless satellite channels and a DVD player. 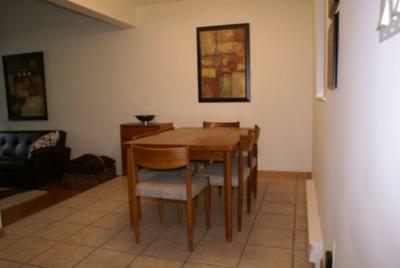 Step up to a dining area that boasts teak furniture with seating for six. The kitchen is clean and bright and is stocked with brand new items, everything you need to create a perfect meal in your mountain paradise. 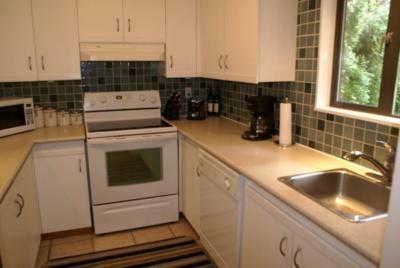 Off the kitchen, you will also find a brand new washer and dryer for use at your convenience and a private powder room. 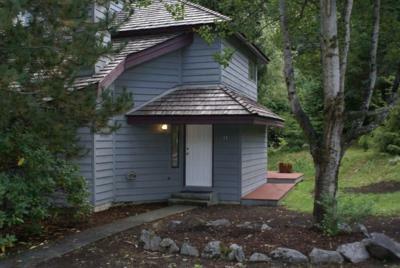 The upper level boasts a master bedroom with queen bed and vaulted ceilings, the second bedroom is also equipped with a queen bed and both bedrooms look out to the peaceful forest setting and running creek. 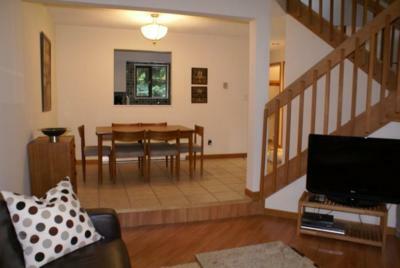 There is also a loft area equipped with twin bunks that overlooks the main living area. The main bath is located on the upper level. The 2010 Winter Olympic men's and women's Alpine events will be held at the Whistler Creekside venue 1 km away. 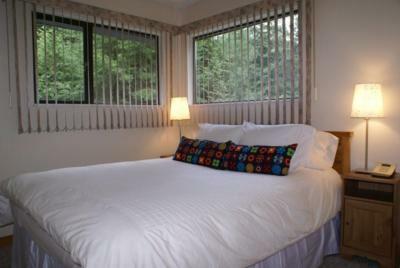 The Whistler Sliding Centre is located on Blackcomb Mountain, 5km from the property. Whistler Olympic Park will host ski jumping, cross country and biathlon events. Whistler Village will be alive with action during the Olympics so come and enjoy all it has to offer. Sample the local cuisine at a variety of top rated restaurants or shop for special items to remember your stay by at many of the unique shops in the Village. 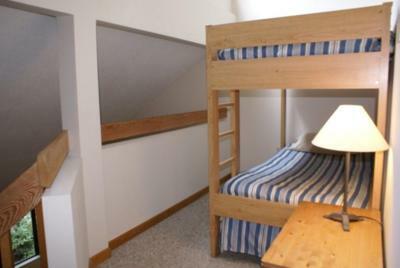 There are twin bunk beds in the loft area. I would like to say thanks to Paul and the EMR Vacation Rental team. 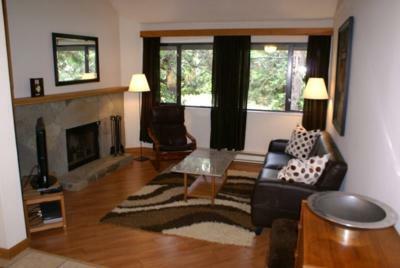 It took awhile for me to locate several condos to rent in Whistler for the Olympics. I contacted several companies and individuals about various rentals and EMR was the only company that had great follow through and was able to locate a condo for us to rent during the Olympics. 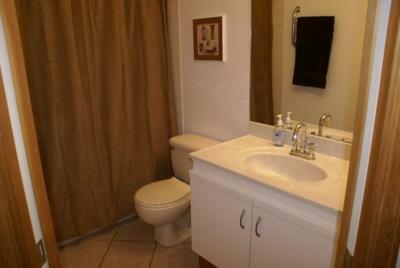 The team is great, and the process of renting was painless. I would definitely use EMR again for our next vacation to Whistler.